It’s here for you. Learn from one of the greatest minds in basketball who opened his doors and shared the game with us from one of the most successful basketball programs in the world. “This has really pulled back the curtains on the most successful college programs ever. Smart doesn’t change his style for the cameras, and watching his all-access practices really shows how he builds a culture of discipline and resilience within his program. 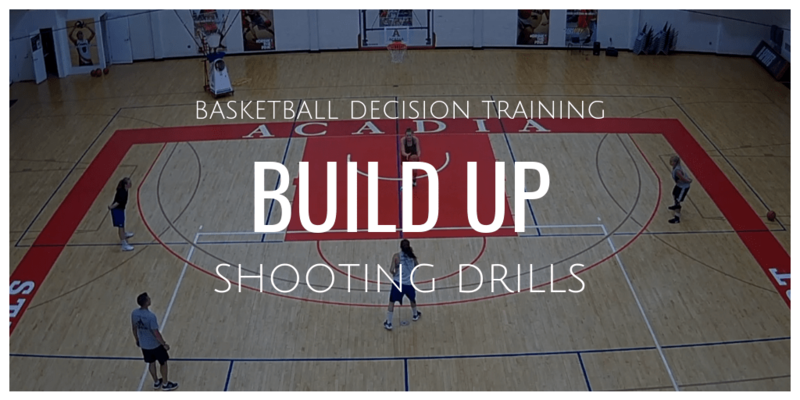 These videos are not full of new, fancy drills, but are full of teaching points and helpful ideas for getting your team to be more competitive and detail oriented from start to finish. Watching the All-Access practices with Coach Smart mic’ed up is almost 5 hours worth of watching a master teacher-coach work with his players, getting to see how he holds them accountable, how he encourages them, and how he turns the lightbulbs on. It lacks the ‘polish’ of other videos, which is why it is so great. Raw, and uncut, you truly feel as if you’re a fly on the wall at Carleton for 3 days of practices. “Coach Smart defensive clinic building a top tier defense is the best defensive video I saw in my 20 years of coaching. This video is a must for any coach looking to improve their man to man defense. This video does a great job of breaking things down to make it very simple to incorporate into your program regardless of the age level. This definitely is a video I will go back and watch many times. “Just want to say thanks for making the Dave Smart videos available to us. Here is a little bit about how I used the defensive concepts with my team. I first asked my players, “how good are we passing with our weak hand to a shooter.” They all tried this, and they agreed that they were not very good. This led me to asking them how should they apply this information on defense. They quickly came to the conclusion that Coach Smart’s force weak hand defense could be beneficial to us on defense. I then asked them then to line up on the baseline in order of how they rated themselves from best to worst on defense. We then did the same thing with them putting themselves in order based on offense. Based on that information I split them into six pairs to play one-on-one. We started with the best offensive player vs. the worst defensive player and so on. In the one-on-one, we used Coach Smart’s ingenious scoring system and his on the ball defensive calls that he shared in the video. Dave Smart is one of the best coaches in the world and now you can learn from him with never before access! What makes these all access practice and clinic videos so unique? Dave smart has won 12 national championships, posted a winning percentage of 92%. Dave Smart’s force weak hand defensive system is world renowned and has never been shared in this way. Dave Smart has a winning record in over 50 vs. NCAA D1 teams having beaten Wichita State, Baylor, Wisconsin and many others. Dave Smart is recognized by Jay wright, Mick Cronin, Jay Triano and many other top coaches in the world as one of the best minds in basketball. Learn from one of the greatest minds in basketball who opened his doors and shared the game with us from one of the most successful basketball programs in the world. Still not sure? Learn more about what makes Dave Smart and his basketball team so effective on offense.